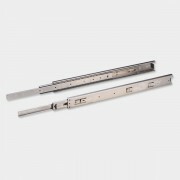 Precision telescopic slides. Full extension of drawer. Direct fitting from front. Removable drawer with Latch. 'System 32' Installation. Load capacity: 10 kgs. .. 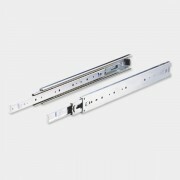 Precision telescopic slides with full extension of drawer Direct fitting from front Removable drawer with Latch System 32 Installation Load Capacity: 35 Kgs. .. 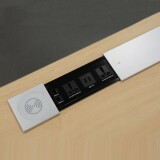 This concealed drawer slide - slim 2 model is compact and uses minimal space below the drawer (27mm clearance). Available with facia bracket for wooden drawers and without facia bracket for kitchens baskets. 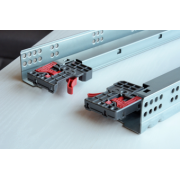 Full extension with soft close and tool free assembly and removal of drawers. Heigh.. 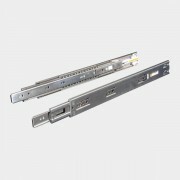 Precision telescopic slides. Full extension of drawer. Load capacity: STDS (I) 45=45Kgs / STDS (I) 35=35Kgs. Direct fitting from front. Removable drawer with Latch System 32 installation. .. 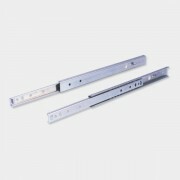 Precision telescopic slides. 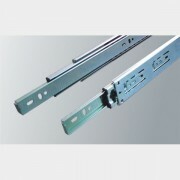 Built in soft closing function Easy for installation. Direct fitting from front. Removable drawer with Latch System 32 installation. Load capacity: 35kgs. .. 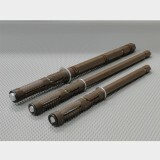 Manufactured out of Stainless Steel 304 grade. Precision ball bearing with full extension of drawer Direct fitting from front Removable drawer with Latch System 32 installation Load capacity 45 kgs. .. 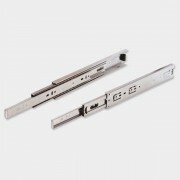 Precision telescopic slides. Full extension of drawer. Direct fitting from front. Removable drawer with latch. Load capacity 35 Kgs. .. 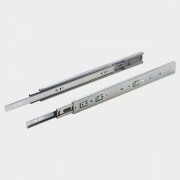 Slim design requires only 10mm side gap. Can be used with bigger drawers as slides are reversible. No de-assembly required. "System 32" compatible. Precision Telescopic Slide for smooth movement. Load capacity - 12kgs. .. 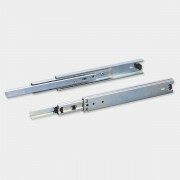 Manufactured out of stainless steel 304 grade Soft closing function bult in slide, easy for installation Precision ball bearing Full extension of drawer Load capacity 45 kgs Direct fitting from front Removeable drawer with latch System 32 installation ..